Monopolies would destroy small business who make their money at the local level by insulating homes or installing solar panels. In times like these, it is helpful to recall what our nation learned from the leadership of Teddy Roosevelt, who went after trusts and monopolies because he knew they used their huge size to strangle other businesses. Iowa could use that kind of leadership. Our Iowa monopoly electric companies are strangling small businesses again. As monopolies they are guaranteed profits, only because of efficiencies seen as a public benefit in the production and distribution of power. And to make sure they do not abuse that power, they are regulated by a fairly powerful state regulatory agency, the Iowa Utilities Board (IUB). Solar energy gives citizens control over part of their lives. Small customers who could not operate a coal plant can put up solar panels. MidAmerican Energy (MidAm) sees that and feels threatened. Even though only 750 of their 770,000 customers have solar panels on their property, MidAm wants this market to itself. So now, MidAm is trying to bypass its IUB regulators by going to the Iowa Legislature to get what they want. MidAm’s approach is a job-killer for solar contractors and a few manufacturers in the state. Legislation the company is pushing would strip those small competitors of most of their market, reducing or even removing the benefits to people who chose to install solar panels. In short, MidAm wants to put a tax on the sun. Its proposed changes greatly reduce the incentive to generate one’s own electricity. As it works now, customers with solar panels sometimes produce more electricity than they use. This is often during the middle of a sunny day in the summer when electric prices are at their highest. Currently, these customers are compensated for the excess energy they provide back to the grid at the same price they pay the electric monopoly. HSB185 would allow MidAm or any investor-owned utility to charge extra fees, or cut compensation, to homeowners and businesses that have clean energy systems. This would discourage solar projects by making them cost-prohibitive. MidAm — like all utilities — charges a fixed, mandatory fee each month to all customers, which proves false MidAm’s principal argument that the clean-energy customers aren’t paying their share for lines, transformers and billing expenses of the company. Already, they pay. But MidAm at least is consistent in its attempts to undermine smart-energy choices and the role of small users and businesses in providing it. We saw it last year as well, when MidAm and Alliant Energy successfully bypassed the IUB by dismantling Iowa’s requirement that they help their customers be more efficient. Previously, electric monopolies rewarded a customer who bought a more efficient refrigerator, or efficient light bulbs, or put in more insulation. No more. Now MidAm is using the same game plan. Go to the Legislature and convince the members to allow monopolies to destroy small business who make their money at the local level by insulating homes or installing solar panels. What would Teddy Roosevelt have done? He would stand up to stop utilities’ bullying of fair competition and the freedom of citizens to generate their own electricity. Small businesses, conservationists and citizens who just want more control of their lives are looking for that kind of champion. 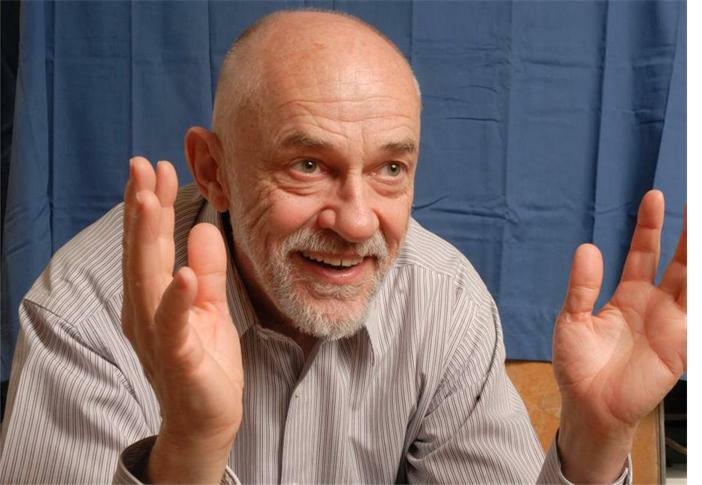 David Osterberg is lead environment/energy researcher, founder and former executive director of the nonpartisan Iowa Policy Project in Iowa City. The Midwest, and especially Iowa, has invested in wind and solar power. Both wind and solar are under attack in the new plan. Much is being written about the effects of the House Republican tax proposal on different states. By excluding or limiting deductions for state taxes, the proposed tax plan favors states with no income tax — which often is the tax most fair to all of a state’s residents. Another way states will be affected differently is in energy development. The Midwest, and especially Iowa, has invested in wind and solar power. There is a production tax credit for wind and an investment tax credit for solar. Both wind and solar are under attack in the new plan. “A report released by Morgan Stanley last week said the Senate is unlikely to pass changes to the tax credit, noting that 85 percent of wind projects are in Republican jurisdictions. As someone who ran against Senator Grassley in 1998, I can tell you we agree on this issue. Proponents of the tax plan claim wind has to get a reduced tax benefit so that taxes on business can be cut overall. Oddly, they do not see the same need to rein in all tax credits for all energy industries. The state of Georgia where a two-unit nuclear plant is way over budget and way late being finished gets the benefit of extending a tax credit for its big utility company. I bet our Senator Grassley will point that out if and when the tax plan gets to the Senate. The Trump Administration ignores climate change and wants to subsidize coal plants. But now the U.S. House tax plan would add to the problem of warming our atmosphere by helping to cut back on the cleanest, safest, cheapest new energy source. It turns out the skewing of benefits to the wealthy, clearly evident in this plan, may not be the plan’s only problems. State government can work to improve the economy of Iowa and at the same time reduce the effects of climate change. I’m pleased to be the Master of Ceremonies at the People’s Climate March in Des Moines on April 29. The event begins at 1 p.m. I plan to make the point that state government can work to improve the economy of Iowa and at the same time reduce the effects of climate change. Way back in 1983, Democrats and Republicans together passed a law — signed by Governor Terry Branstad — that required the state’s investor-owned electric utilities to try renewable energy. Utilities hated the idea and fought complying with the law for years. Yet now, 35 percent of the electricity generated in the state comes from wind power. Once we changed the direction that utility executives were looking, they found that renewables would work. They found that those who said that the intermittent nature of solar and wind could not be easily integrated into a production system. They were wrong. 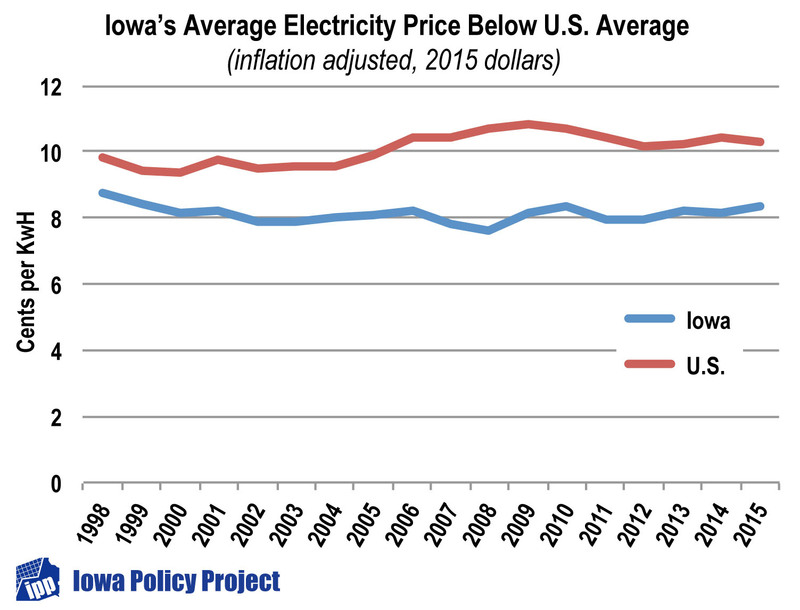 The paper the Iowa Policy Project released March 30 shows that even though more than one-third of Iowa electricity comes from wind, our overall electric rates were lower in 2015 (latest data) than when the wind industry really got started in 1998. Distributed solar is good for the environment because the electricity produced is clean. It also is likely to come just when it is needed. Let’s make sure we have the policies in place to encourage more solar. The hot sun we experienced this August not only caused the local electric grid to experience high use, but it also powered solar systems distributed around Eastern Iowa. The middle of a hot summer day is a time when almost any U.S. electric utility expects to see highest demands during the year. Aug. 11 was going to be one of those days in Eastern Iowa. Peak demands of high electricity use translate to high costs. So, a day in advance, MidAmerican Energy asked the University of Iowa’s Facilities Management team to cut back the university’s electric load from 12:30 p.m. to 5 p.m. on Aug. 11, 2016. The university has an arrangement with the electric utility to decrease its electric load by cutting back on air conditioning and other usage, when called upon, in exchange for a reduced electric rate. The goal is to reduce costs for all utility customers by encouraging some customers to reduce their electricity use at the highest and most expensive times. This type of arrangement is a win-win not only for UI and MidAmerican, but also other MidAmerican customers. Utilities often make these arrangements available to large customers as well as residential customers with air conditioning. The university has two small solar energy systems that produce electricity. The data for one of them, a 38-kilowatt solar array, showed energy production varying during the morning of Aug. 11 (below). During the utility’s predicted peak period of energy use, the solar array’s production rose quickly and continued to be strong for the remaining period. 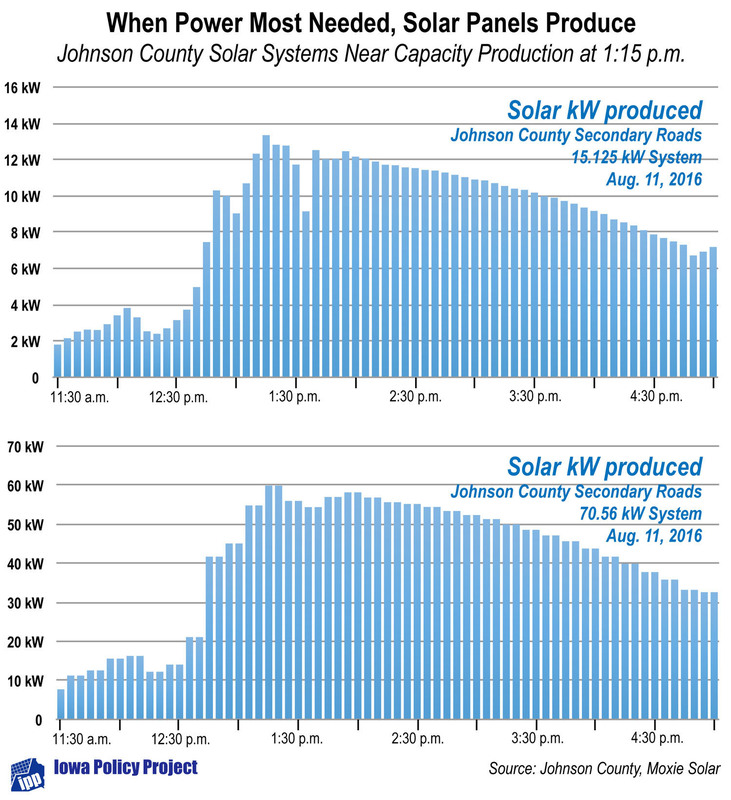 The hot sun caused the MidAmerican system to experience a peak day but also powered distributed solar systems in the area to help meet those higher energy needs. Nathaniel Baer is the energy program director at the Iowa Environmental Council. baer@iaenvironment.org. A version of this column ran in the Sept. 6 Cedar Rapids Gazette. I visited an old friend, Don Laughlin, in a nursing home before he died. A stroke had paralyzed half of his body but certainly had not affected his mind. Even with his impending death he was looking toward the future as he spoke with Nathan Shepherd of IPP and me. Our conversation was about renewable energy, which he had promoted for decades. 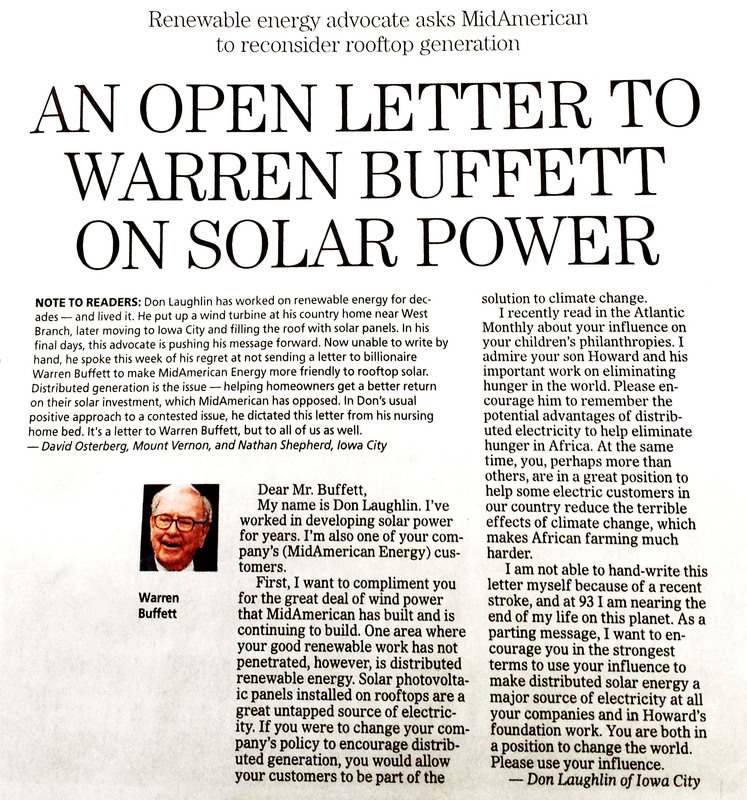 He told us that one of his many unfinished projects was a letter to Warren Buffett, the owner of MidAmerican Energy, to ask him to be more supportive of rooftop solar power. Nathan suggested to Don that he dictate a letter and that we would send it to the billionaire. And we did. Within several days, Don Laughlin would be gone at the age of 93. 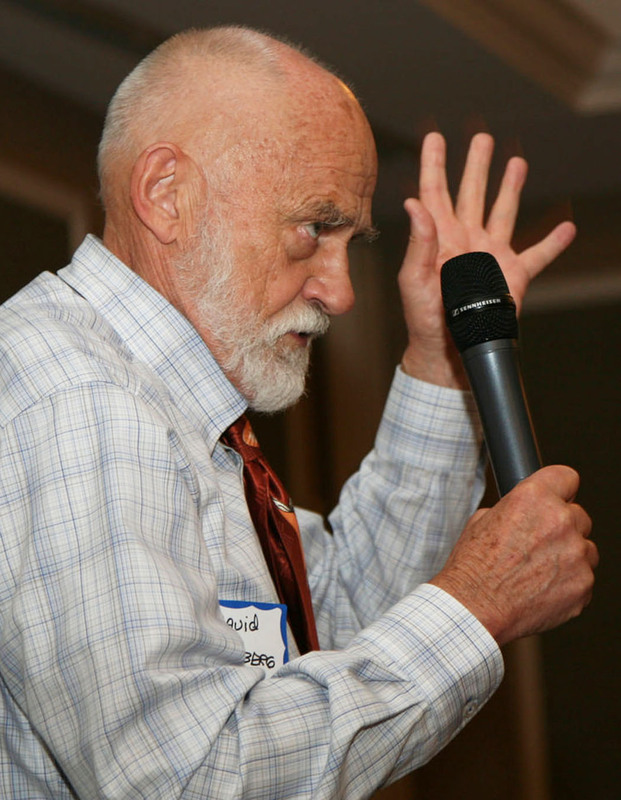 At a celebration of Don’s life at Scattergood School near West Branch August 27, my neighbor Deborah Dakin suggested that while she was sure Don was happy to do one last act to encourage solar power and reduce the effect of climate change, more could be done. 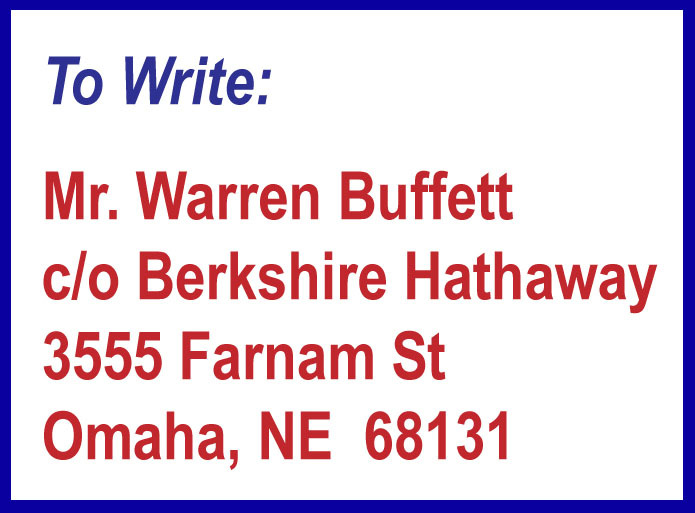 She suggested that everyone who reads this write to Warren Buffett to ask him to pull his company back from efforts to reduce the return to homeowners from their own rooftop solar. That is because MidAmerican is trying to kill net metering, the ability of a homeowner or business to receive retail rates for any excess electricity they generate beyond their own usage. Your letter would honor Don Laughlin’s last public activity, and, if it succeeds, each of us will be doing our part to stave off the worse and worst effects of climate change.